The Supreme Court on Friday directed the Union of India as well as respondent-states to file an affidavit within four weeks enumerating the steps sought to be taken to fill the vacancies in the Central and State Information Commissions along with the time schedule. 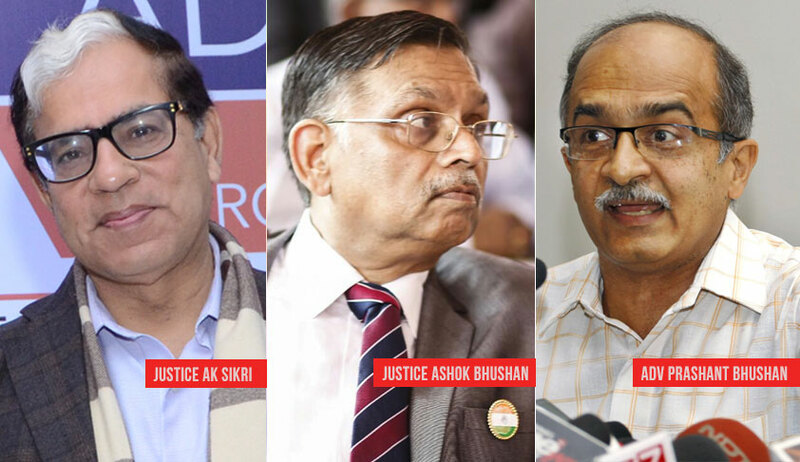 A bench of Justices AK Sikri and Ashok Bhushan proceeded to add a clear stipulation that no further time in complying with the said direction shall be granted and any default on the part of the respondents shall taken a serious view of. The bench was informed by ASG Pinky Anand that as far as the Central Information Commission is concerned, there are four vacancies which have been advertised. “We cannot speak for the states,” she added. “This will not do...file an affidavit indicating the process to undertaken, how much time will be needed, the interview schedule, the deadline for filing up the vacancies...,” required the bench. “We could state in the order that for those due to retire in December, the process must start in August,” assured the bench. The bench inquired why the appointments did not come through in pursuance of the 2016 advertisement. When the ASG responded that she was not sure, the court required the reply to also be stated in the affidavit. Further, in pursuance to the apex court judgment in Namit Sharma’s case, Bhushan insisted that the Centre and the states also comply with the transparency requirements, in publishing an advertisement in respect of vacancies, publicly disclose the eligibility criteria, the shortlisting criteria, if any, the names of the shortlisted candidates as well as the names of the members of screening committee. Insisting that the “sanctity of the process” of appointments could not be questioned by mere “assertions”, the ASG stated that the qualifications have been prescribed under the RTI Act, that the same are also available on the website and that it is “agonising” when information already available in the public domain is asked to be made public. In context of the respondent states, Bhushan advanced that in Andhra Pradesh, there is no commission at all, despite the order of the high court, and the commission in Kerala is operating with 10 vacancies. The bench required the states of West Bengal, Karnataka, Telangana, Nagaland, Odisha, Kerala and Andhra Pradesh to also file affidavits stating the reasons.